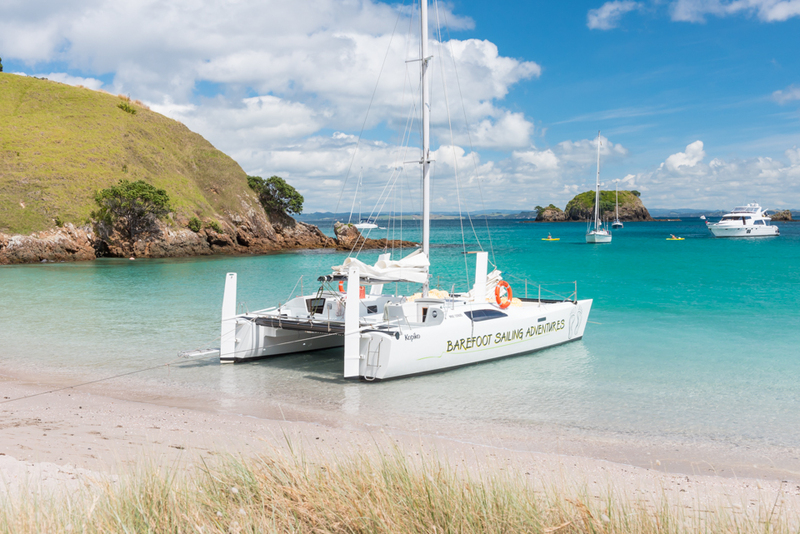 Join Barefoot Sailing Adventures aboard our comfy cruising catamaran for a great day out while visiting Northland! 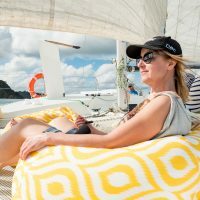 The Bay of Islands is a magical sailing destination; offering over 140 natural islands within easy day sailing distance. 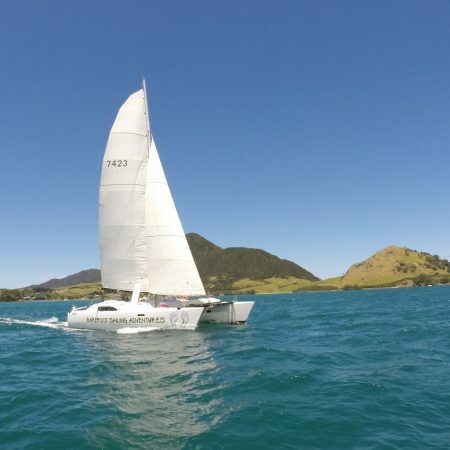 This little slice of paradise is a truly memorable place to go for a sailing trip, with its calm, pristine waters, marine wildlife and of course, the naturally stunning scenery. 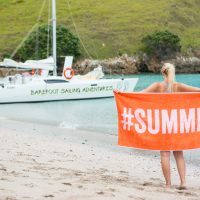 The Bay of Islands is a world-renowned sailing destination, and whether you’re a first-time sailor or a seasoned professional, you’ll have a great time with Barefoot Sailing Adventures. 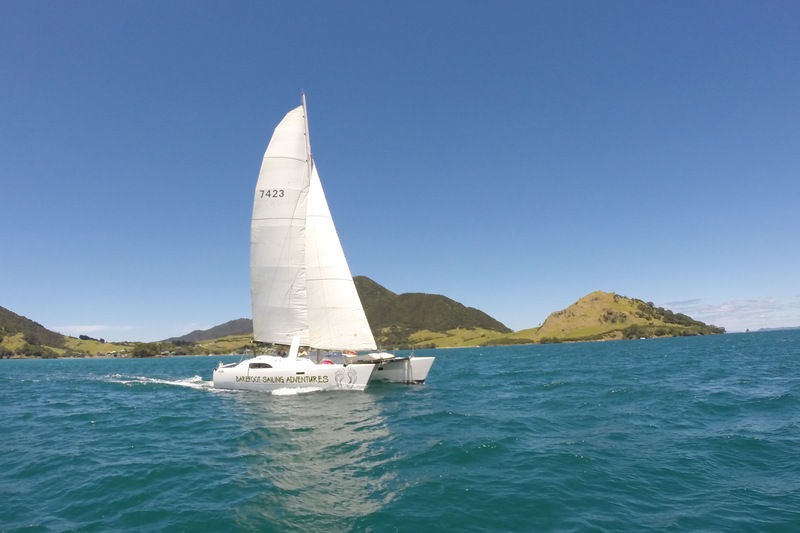 An Island Hopper Day Cruise for a fantastic day sailing experience. 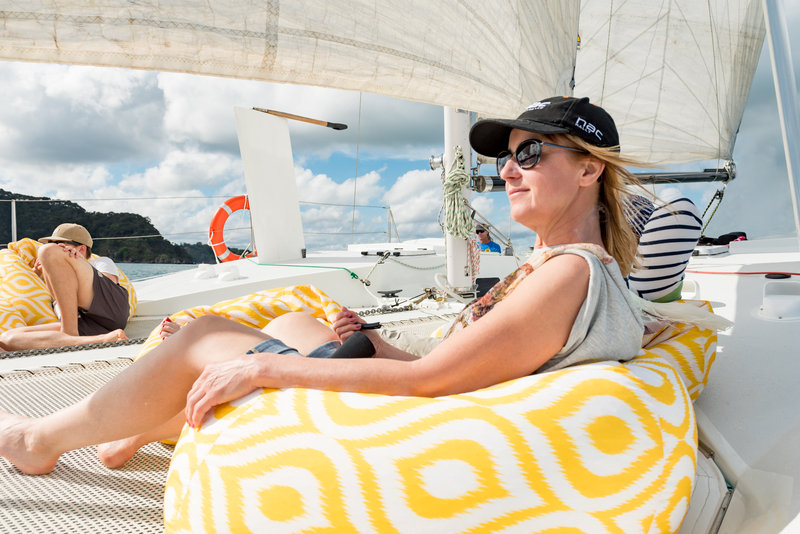 Visit one of the many island destinations which we treasure, kick back and relax on a comfy bean bag or get involved in the sailing. 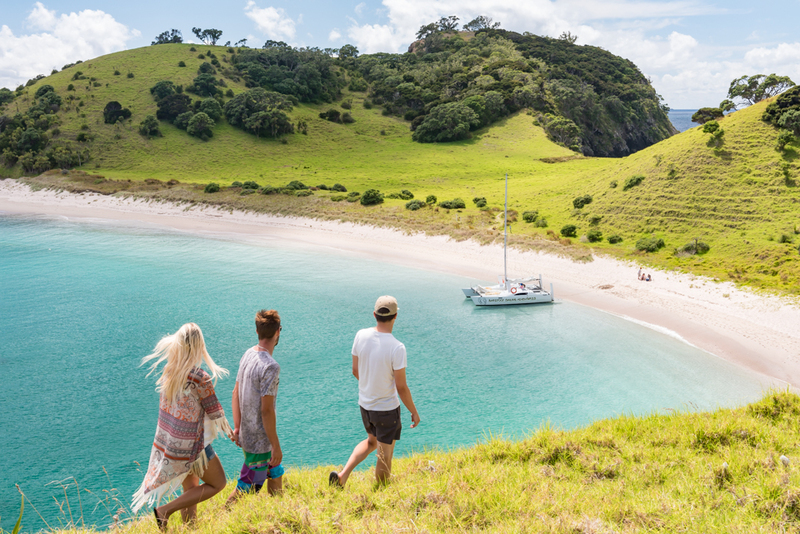 Enjoy a picnic lunch on our island stopover, take a swim, snorkel or walk the trail- and take in the native New Zealand bush and bird life. $130pp. 10am – 4pm. Lunch included. 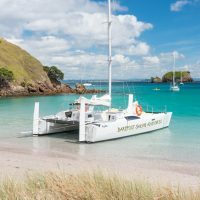 A Sundowner Evening Cruise will take you on an evening sailing tour of the inner bays of the Bay of Islands, Russel, Waitangi, Opua, Paihia. Join us for happy hour, you are welcome to BYO beer or wine, enjoy the scenery as the sun is setting in our little slice of paradise! $60pp. 5pm – 7pm. BYO. Dec – April. 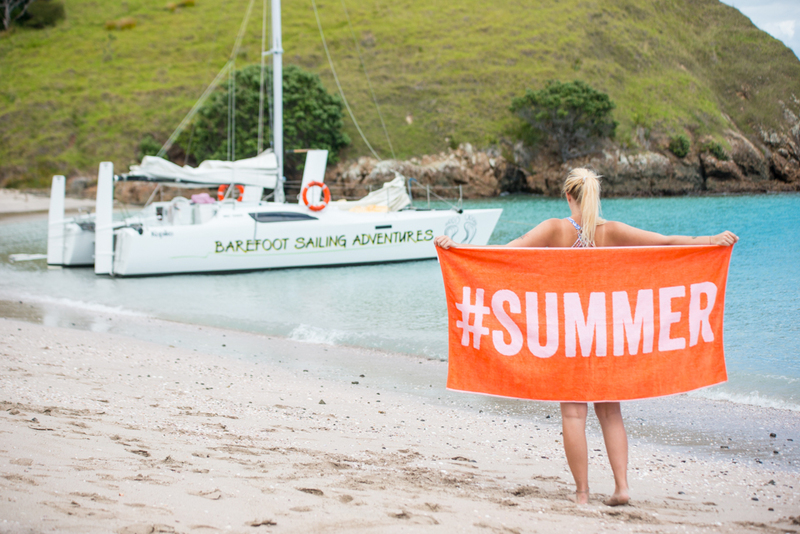 A Private Charter will have you enjoying a day in “The Bay” however you choose. Book the boat exclusively for a family day out. Or enjoy an overnight cruise to one of the stunning island destinations. Contact us to discuss details.